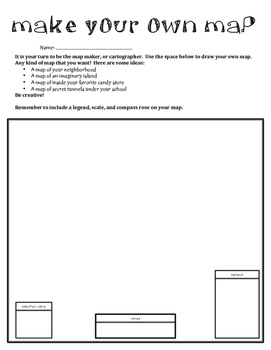 This is a fun, quick activity to let the students create their own map by testing what they have learned about maps. It includes a place to make a compass rose, legend, and scale. Enjoy!! Please check out all of my products at my store!